An English Homestead: Building A Free Chicken Coop! My pasture chicken coops are working our great, fresh grass each day, helps to keep the chickens healthy. My chicken plans change day by day though. At the moment I'm thinking that as well as having my two regular egg laying pens (for sales and for ourselves) and one mobile pen for meat birds (doing a few batches throughout the year to keep us supplied in meat) I also want to set up some breeding birds, so I can sell fertile eggs and point of lay pullets from a breed we'll pick as a family. 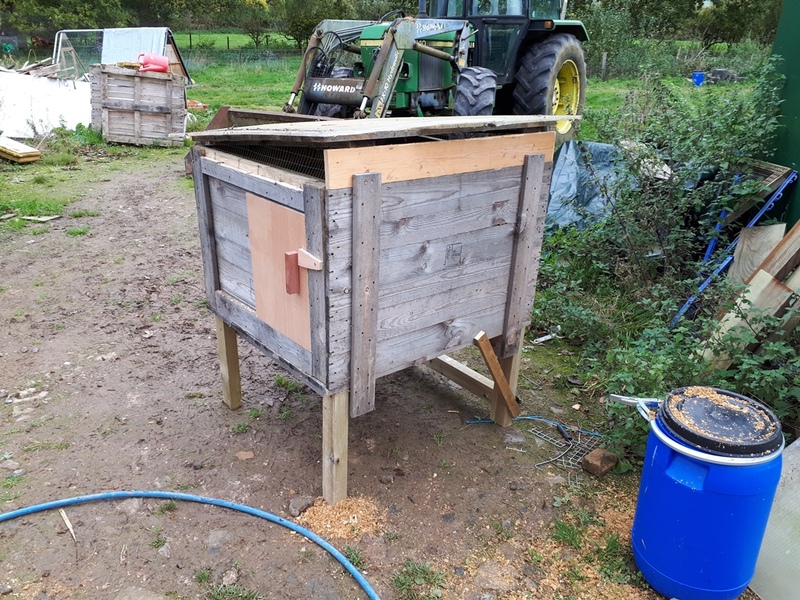 For this I want to create some permanent pens, maybe a short row of them, each with a coop and a pair of runs off each that can be seeded and rotated. 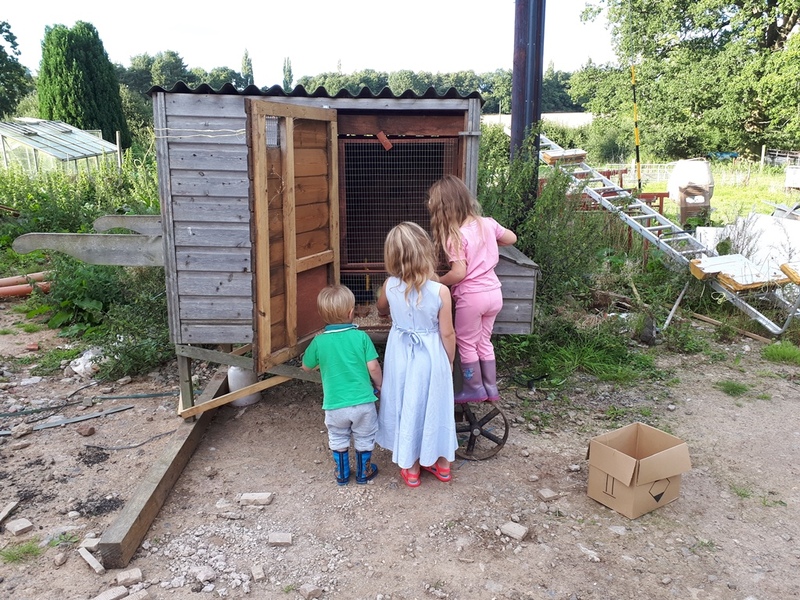 The idea being to keep a breeding trio or four in each pen, keep blood lines pure and chickens happy. 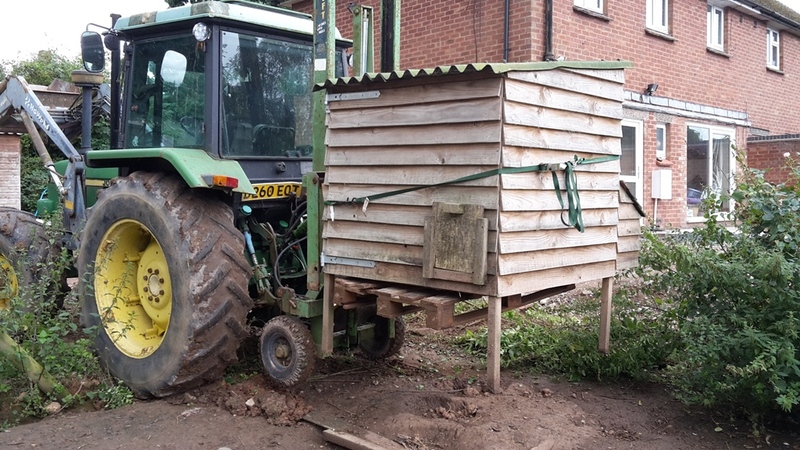 Spare coop - not the easiest to move! Houses a 10 birds though! Chicken coop converted into a chick brooder - It might gain a extension yet as I'd like to do 30 bird batches rather than 20 (day old chicks are cheaper if you buy over 25 birds). 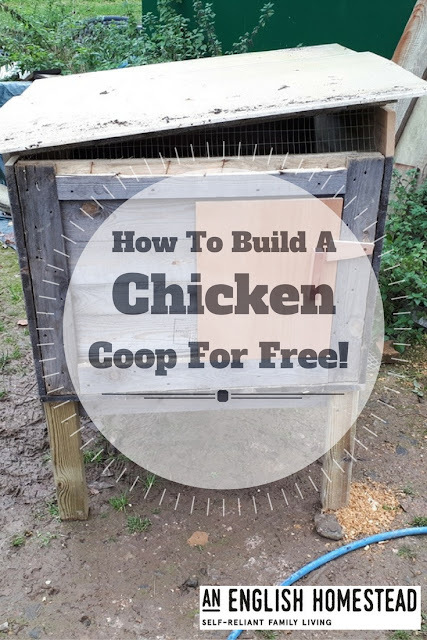 I've learnt a lot from building lots of chicken coops over the years (I've built some at mum and dad's farm in the past as well as one for our old house that got covered in red mites - so I left it there). But one thing never changes - they're not cheap to build; wood, cladding and roofing material is always expensive and adds up quickly no matter how small it is. So the other day when dad offered me one of these pallet boxes for free I jumped at the chance. In fact he's offered me 20 as he will only burn them otherwise (If you're Herefordshire or Shropshire based drop me a line and I'm sure you can have one or two of them). 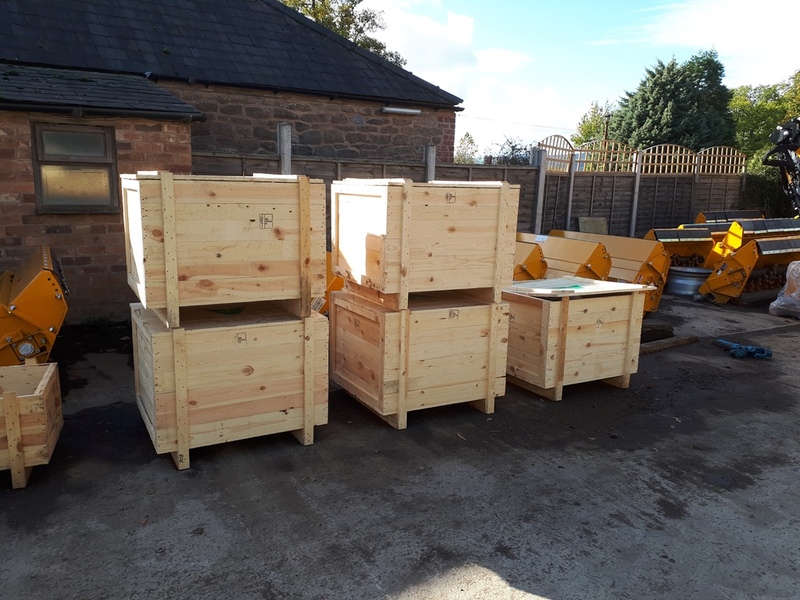 Some of what he orders comes in on them but the courier he uses makes it too expensive for him to use for shipping things on in them and many people collect anyway (he's a machinery dealer). They're 32" square and about 2ft high. 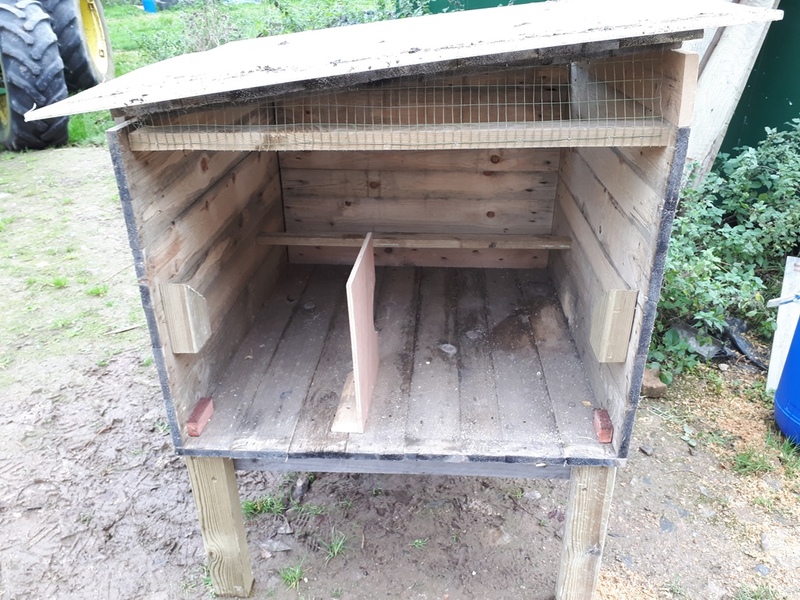 Not a massive coop but ideal for around 3 or 4 birds. I took one home and started working on it. 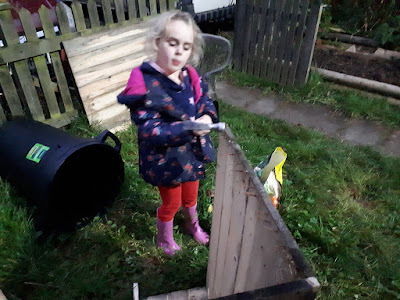 Got my eldest practicing her hammer skills one night, knocking nails over, she loved that! First thing I did was to remove one side. 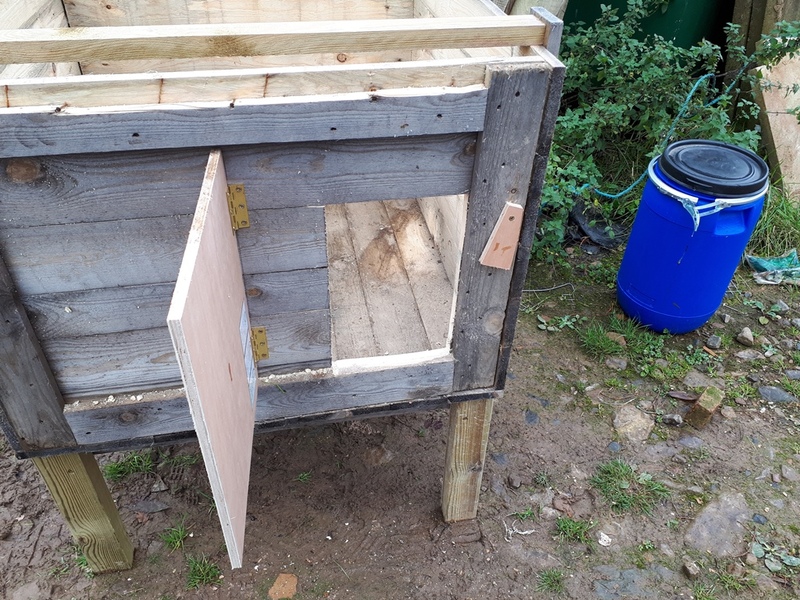 It would have been easier to just cut a door way in and build a removable roof but I wanted it easier to clean and get into. Being able to sweep or scrape the droppings out is much easier than having to scoop it up and out. 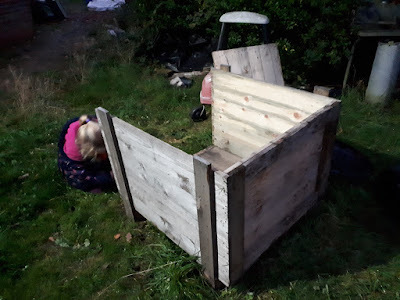 I then did what I consider essential for any chicken coop - I lifted it up off the ground. I lifted this up around 16 inches, this does two things: Removes anywhere for rats and mice to hide under the coop and give the chickens somewhere to shelter out of the rain without having to go in. I then made the front removable. As I'm trying to keep cost to a minimum I used a french cleat type system, a piece of wood cut on 45 degrees means it slots nicely back into place. This picture below shows the stop add at the bottom (one at the top as well) to make sure the front won't push in. 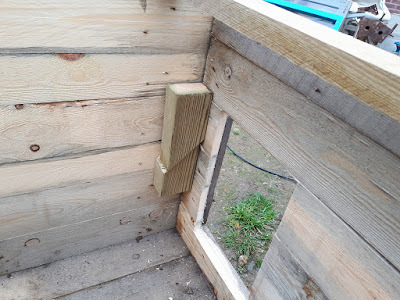 The door was just a bit of scrap ply, I did use two old hinges there as well, a scrap of wood as a catch. 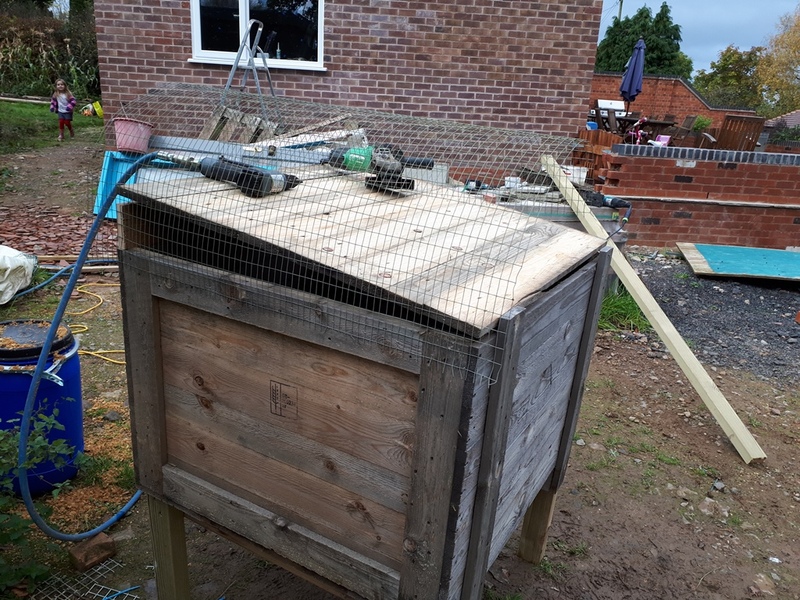 I then added the top of the pallet as a roof, adding in a 100mm (4inch) piece of timber to give it a bit of fall. 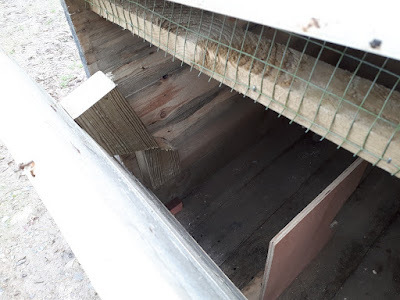 The two open diagonal sides were then meshed to prevent predators entering the coop but maintaining good ventilation. 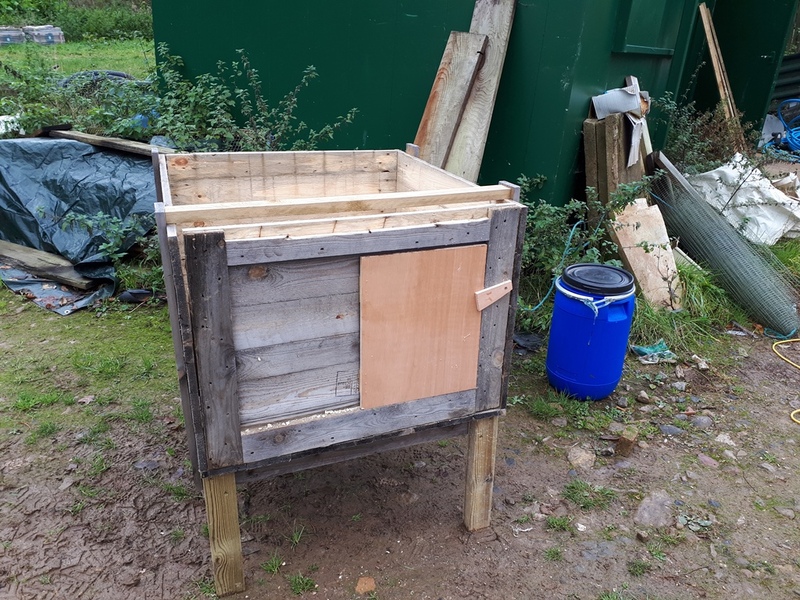 I had some old clear sheet material up the field a friend dropped off for me years ago, I added this on top of the wood on the roof as a waterproof layer. A perch at the back and a divide just in from the door, means a dark nest area. 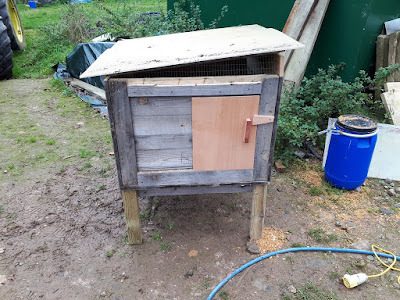 I'd like to make some roll away nest boxes in the future, that could work well in here. French cleat in action - saves on ironmongery! This coop can be easily moved with a sack truck so at the moment it's down in the orchard, to be the cockerels new house - he's feeling a little down after being denied access to his ladies. Normally I hate when someone says something is built for free because of all the stuff they've got kicking around! But this time it's a waste material (the pallet box) and loads of bits I've got kicking around, I'm sure most could come up with some of these materials - maybe a bit of skip diving! 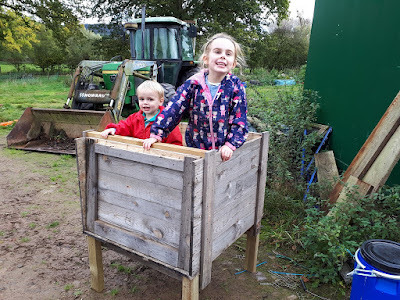 The great thing is that with my eldest and youngest we built this coop within about an hour or so, it's well ventilated, big enough for 3 to 4 good sized chickens, is high enough off the ground from pests but also provides a bit of shelter under it, has a perch, nest area and can be locked up at night to keep foxes and badgers out. All it cost me a handful of screws! I have a feeling I'll be building a few more of these if my plans for creating some breeding pens for chickens takes shape, if not it's always handy to have spare pens for sick birds or if some need separating due to bullying or hatching out too many chicks, etc! What do you think to the coop? Would you use it or do you prefer something a little more pleasing to the eye? It looks practical and better than my stuff. Who cares about looks if it is free or cheap and works for the chickens? 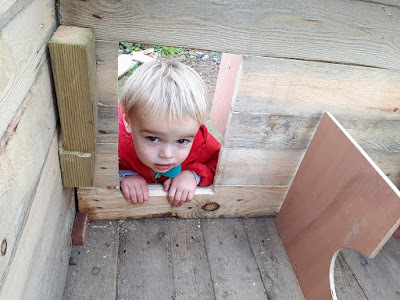 I love having a collection of smaller houses they are so useful, you have done a fab job as usual. OMG. 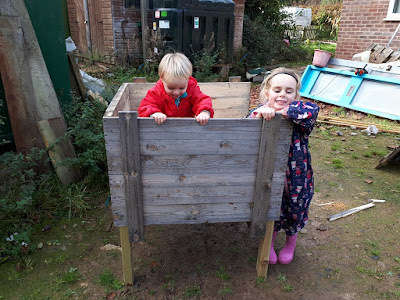 I would love to be closer to have some of those pallet boxes for compost bins!! I love things made from recycled items. You could sell them stating they are made out of recycled timber. Fabulous job and you can't get better than free! One thing I've learned about the English and Canadians from reading their blogs, they are a lot better about using recycled materials, or "repurposing" as I hear it called. If we want to build something here, we go to Home Depot and buy a bunch of expensive lumber, etc. You folks seem to be much more adept at taking things like those crates and building chicken coops. Kymber and J are past masters of using scrape, at their place in Canada. I think your way is better. I really like that French Cleat, what a brilliant thing, never heard of it before but I have taken note of it now!